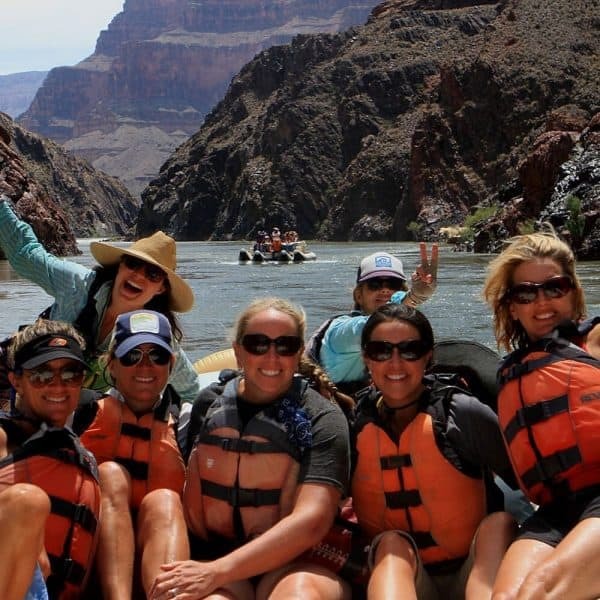 We, at Arizona Raft Adventures, employ some pretty phenomenal guides, and we want to share a little bit about them with you! This time, we wanted to share a little more information about the very talented Amity Collins. Amity was born in Independence, Kansas, and moved to Northern Arizona in 2000. 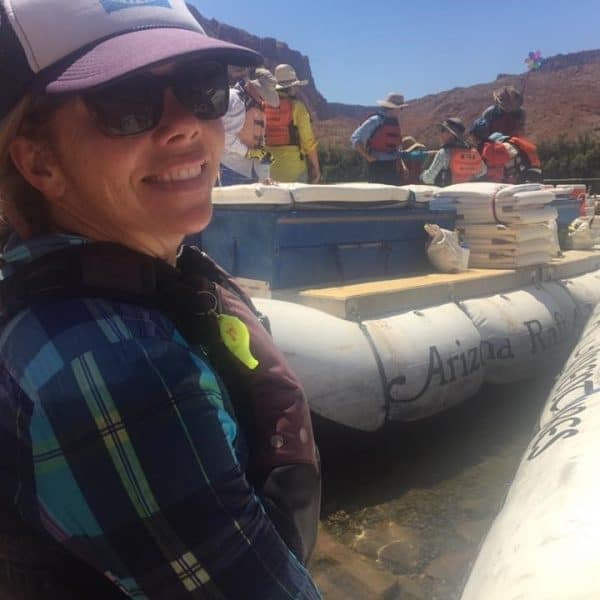 She attended Northern Arizona University, and after graduating, got a job working on the Colorado River. She immediately fell in love with the Canyon, as well as the Southwest in general, and has since decided to call this place home. 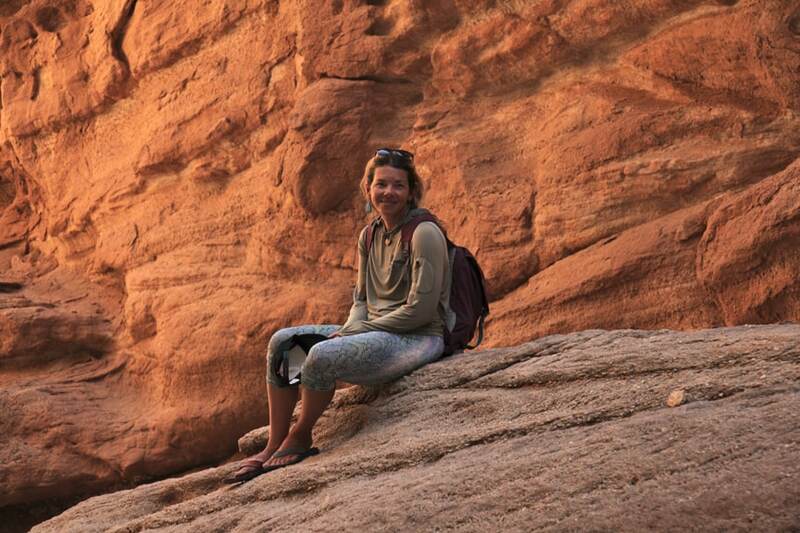 Amity started guiding with AzRA in 2014, but worked for another rafting company in Grand Canyon for many years prior to coming to work with us. She’s a go-getter when it comes to the types of adventures she guides, as she does them all! You’ll see her on our Motor, Classic and All-Paddle Adventures at various times throughout the river season, oftentimes trip-leading many of them. When asked what her favorite rapid is, she said, “how could you not love Hermit Rapid?! It’s huge and awesome!” She also mentioned she loves any of the other rapids that really gets her heart pumping, like Hance, Crystal and Lava. When we asked her what her favorite hike is, she said, “these days, my favorite is North Canyon as it is both challenging and beautiful.” We ask our guides this question often and most of them will respond with phrases like, “right now my favorite hike or rapid is…” or “for this season, my favorite is…” because the Canyon does change so much from season to season. 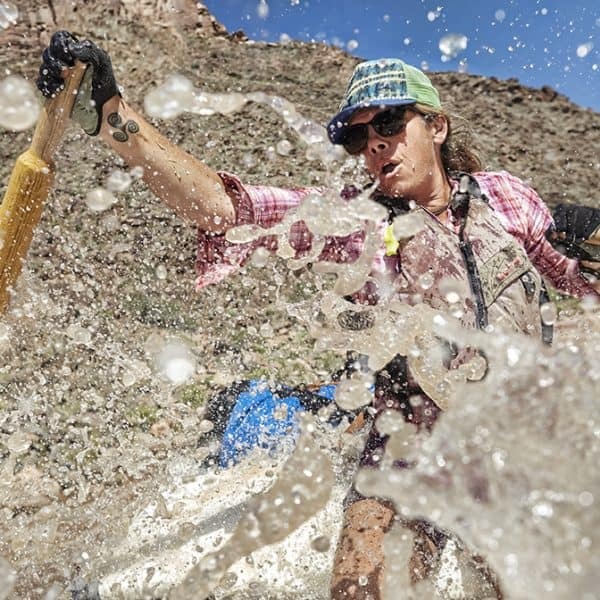 The weather and storms that come through can dramatically change the Canyon in a matter of minutes, and will change a hike or a rapid so much that the guides then decide that’s their favorite. 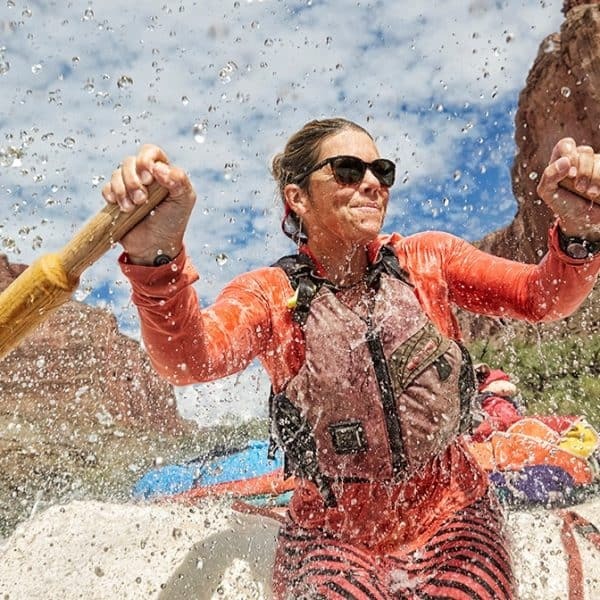 It’s one of the most exciting parts of being on a rafting adventure in Grand Canyon, no matter how many times you’ve been down there before. In the off-season, Amity is a substitute teacher, and she loves to be outside in any way she can. She loves to camp, climb, run, do yoga and hike. Were you on a motor or paddle trip with Amity, and have a great picture of her you’d like to share? As you can see below, we have some fantastic pictures of her rowing an oar boat, but could use some pictures of her driving a motor boat or captaining a paddle boat! If you do, email them to us at info@azraft.com, and we’ll add it to this blog. Thank you! Barry, Australia. August 17, 2018. We agree, Barry! Thank you for sharing! During our 9-day lower canyon trip in June 2017 my friends and I knew we wanted to be on Amity’s raft when we got to Lava Falls. We lucked out! What a great run! She has such quiet strength, knowledge, and skill! Thank you for the experience of a lifetime.